Here’s a sneak peek at my latest book project, tentatively titled, Argentina, New York. 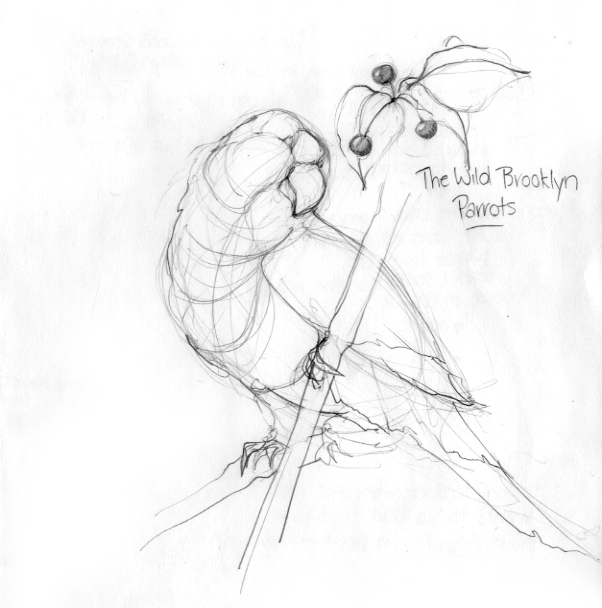 It’s the story of a young, curious Brooklyn parrot (based on the real birds in Green-Wood Cemetery! 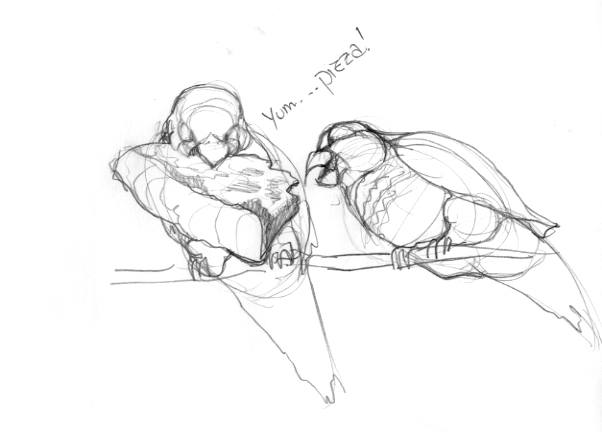 ), who grew up just like any other city kid – eating pizza, living in a Brooklyn high-rise “apartment”, and playing with his nervous pigeon friend. But upon hearing the story of his family’s origins from the faraway borough of “Argentina”, the little parrot sets off on an adventure across the city to find his roots. 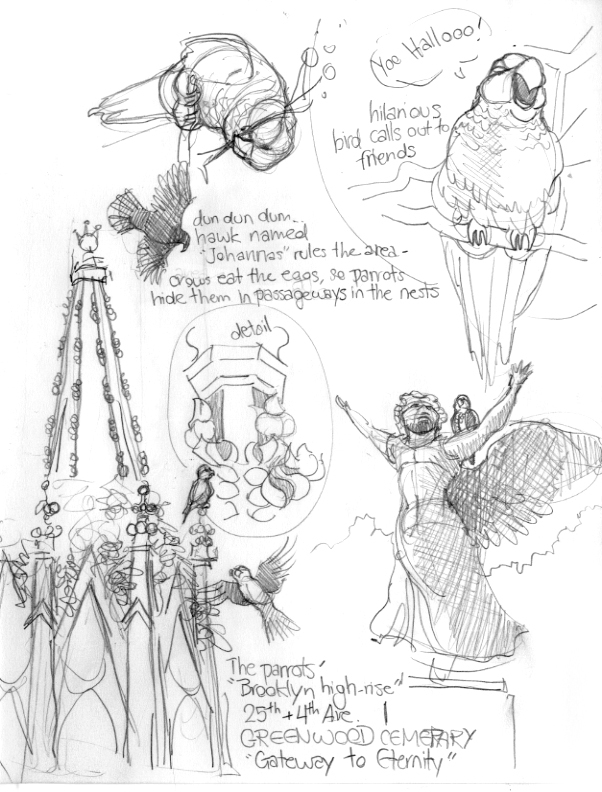 This entry was posted in my books, sketches and tagged argentina, brooklyn parrots, green-wood cemetery, new york, parrot safari, parrots. Bookmark the permalink. 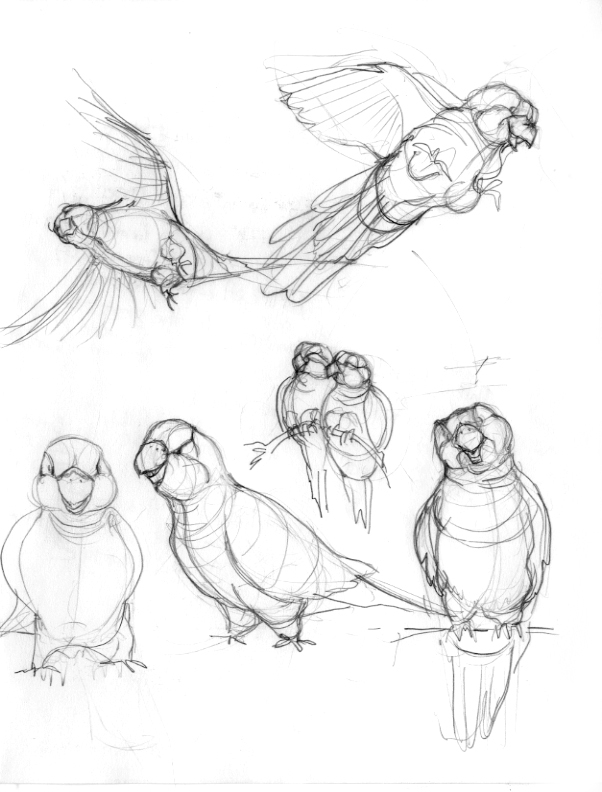 Oh my gosh, the expressions on the parrots are so perfect! I’m completely in love with this story. And those are by far the cutest birds I have ever seen. I’m thoroughly jealous of people who went to art school and can actually draw. I seriously cannot WAIT to read this. ANNIE! You have no idea how excited I am to see the final product! I can’t wait for the day when I can read your books to my class and tell them that I know you!!! Love it Annie! The story sounds adorable and as always the illustrations are perfection. Thanks guys… you’re the best!!! Love ’em Annie. Can’t wait to see the final work. And see the parrots when we are out east visiting. Love you too!